This is the sort of story which really touches me – in fact I wondered if it was a cruel hoax at first, but it appears to be absolutely real. Over the past three years, photographer Lindsay Morris has been documenting a four-day camp for gender-non-conforming boys and their parents. 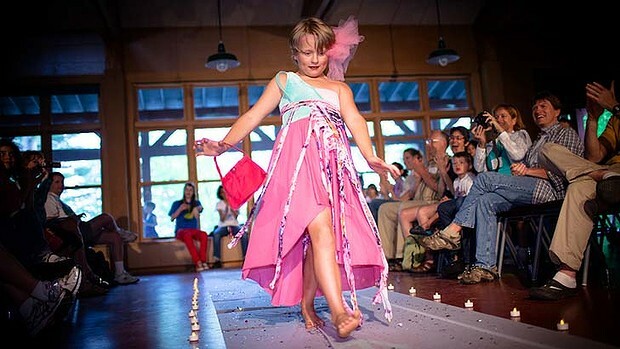 The camp in the US, “You Are You” (the name has been changed to protect the privacy of the children and is also the name of Morris’ series), is for “parents who don’t have a gender-conforming three-year-old who wants to wear high heels and prefers to go down the pink aisle in K-Mart and not that nasty dark boys’ aisle”, Morris said with a laugh. I think actually my favorite part of the story is the main photograph showing the smiling, clapping parents as a child walks in front of them in their dress. It’s a feel-good transgender story, and there are two other lovely photographs at the link below, which I urge you to see. Camp allows boys who do not conform to gender to shine. This entry was posted in Activism, Fashion, Youth and tagged transkids on April 16, 2014 by .